Horoscope Greeting Cards for MenThere are 14 products. Horoscope greeting cards for men are handmade, unique and really original greeting cards with a special surprise inside each horoscope card. 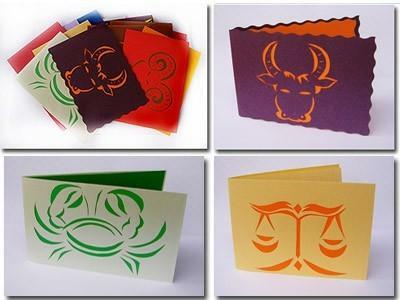 Horoscope greeting cards with 12 differend Zodiac signs motifs carry a special note inside where main characteristics of each Zodiac sign are written. If you want to give your friend, a partner or any other man a special, useful and very practical gift, give him unique and handmade Horoscope greeting cards.